What's the difference between a catastrophic and personal injury lawyer? If you have been injured in a mishap as a result of another party’s negligence, you may make a personal injury claim for compensation. A personal injury claim is a civil law action that seeks compensation for damages suffered or sustained by a victim. Personal injury claims can be very diverse, ranging from car and motorcycle accidents, public liability claims for slips and falls in a public space, to employers’ liability claims for accidents at work and industrial disease claims for exposure to hazardous products. Typically, a successful personal injury claim arises due to evidence of negligence on behalf of the other party. The value of personal injury claims can also vary widely, from smaller claims of £1,000 to multi-million-pound lawsuits for catastrophic injuries. A catastrophic injury is one that results in permanent disability, long-lasting medical problems, a decreased quality of life or reduced life expectancy. The treatment and follow up care for such cases tend to be expensive, requiring repeated procedures, lasting, round-the-clock care and typically impairs a person’s quality of life and ability to support themselves. Catastrophic injuries can mean that you are no longer able to work, need adaptations or disabled facilities in your home and your car and possibly some level of care, physiotherapy or treatment for the rest of your life. This all needs to be calculated accurately, including allowances for the change in interest rates throughout the period of your life. Examples of catastrophic injuries include those involving amputations, debilitating brain injuries or long term burn injuries. How does a catastrophic injury claim differ from a personal injury claim? Scale of damage – Catastrophic injury claims are much larger in value because of the degree of the physical injuries suffered by the plaintiff. They can include both economic damages, which involve medical expenses and loss of income, and non-economic damages, which compensate for emotional damages stemming from any present and future impairments suffered. Duration of damage – Compared to non-catastrophic personal injuries, catastrophic injuries have a much more significant and long-lasting effect. In cases involving paralysis, spinal cord injuries, birth injuries, and severe traumatic brain injuries, victims may have ongoing medical conditions that persist throughout their lives. They face a life that consists of medical appointments, medication and physiotherapy routines, and will likely require modifications to accommodation and medical prosthetics. In the most severe cases, victims may even require daily care for the rest of their lives. Calculating future medical needs is common in lawsuits filed by catastrophically injured victims, and it is critical to ensuring victims and their families have the financial means to secure the care they need. Need for greater expertise – Catastrophic injury cases often entail more medical information and analysis than lesser personal injury cases. Medical experts have to examine victims and provide their opinions regarding the severity of injuries and prognosis. Medical documentation and expert testimony are often critical to proving future medical needs and illustrating the severity and scope of damages suffered by victims. Degree of opposition – Due to the larger monetary compensations at stake, insurance companies and corporate defendants are likely to defend the case more vigorously rather than settling. With payouts reaching hundreds of thousands and even millions of pounds, companies named as defendants for product defects, negligence or premise liability have an incentive to dispute liability, damages or even settle claims. This means that the solicitor for the plaintiff can be in a long drawn out trial. A specialist catastrophic injury solicitor such as Romain Coleman will have a database of experts they can call on for the client. Case managers often consult with occupational therapists, disabled-friendly realty specialists, special assistance technology experts, specialist dentists and vehicular specialists, all of whom can provide you with the support you need, and help your family with the adjustments they will have to make after your accident and injuries. A catastrophic injury solicitor can also put you in touch with rehabilitation providers who can give you the treatment you need to help recover from your injuries or regain some quality of life. If you’ve suffered limb loss, a catastrophic injury solicitor can help you to get custom made, state of the art prosthetics, all paid for by the person or organisation that was responsible for your injuries. Your catastrophic injury claims solicitor will help to calculate the financial implications of your injuries, taking into consideration your future employment prospects, whether your job will have to change as a result of your injuries or if you will never work again. As these types of claims can take years to settle, your injury lawyer may ask for payment to cover some of your expenses. 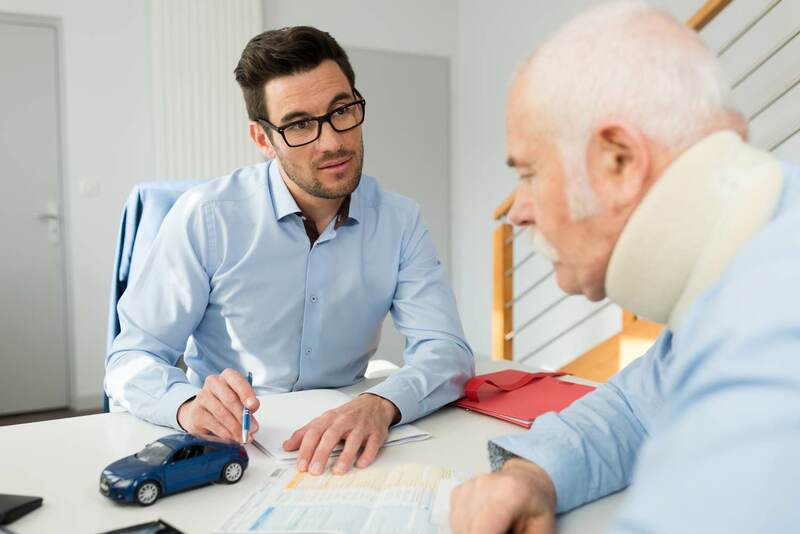 The interim payment, which will be deducted from your final compensation payment, will help to pay for physiotherapy, modifications to your house or car, prosthetics or any further treatment you may need throughout the duration of the lawsuit. Choosing the right catastrophic injury lawyer is critical for success in making your catastrophic injury claim. At Romain Coleman, our experienced team of London catastrophic injury solicitors has helped many people to settle their claims, find compensation and regain their quality of life. To find out what we can do for you, call us on 0208 520 4555 or use our Online Form.